​I was delighted to have my investor group participate in this production which was nominated for 10 Tony Awards! For more information about investing in future Broadway shows, contact me by email at amykaissar@gmail.com. Click on any publication headline to read the full review. ​Associated Press "It's not a review or revival. It's more like a history lesson that will blow you away." 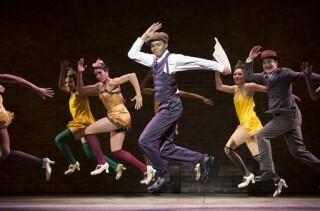 Chicago Tribune "The not-to-be-missed "Shuffle Along" is an exceptionally important new show." Entertainment Weekly "It’s a dazzling production that celebrates art, dreams, and equality. And when the man behind me emphatically screamed out, “Damn!” after the final number, I had to nod my head and agree." Vulture "Wolfe bombards a core of ideas about race and culture with a billion showbiz protons to produce both a gorgeous spectacle and a big, smoking crater where your former ideas of Broadway once stood." 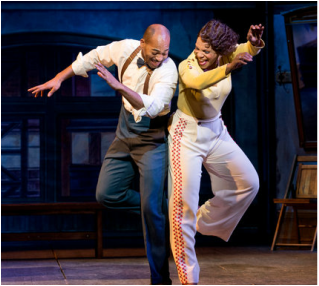 The Hollywood Reporter "It's almost impossible to stay still in your seat when the internally motorized ensemble of Shuffle Along explodes into one of choreographer Savion Glover's seismic tap routines . . .scene after scene dazzles in one of the most electrifying entertainments on Broadway."